Telecommunication apprentices will attend BISCI training. This lab meets all of BISCI standards for a certified training site. 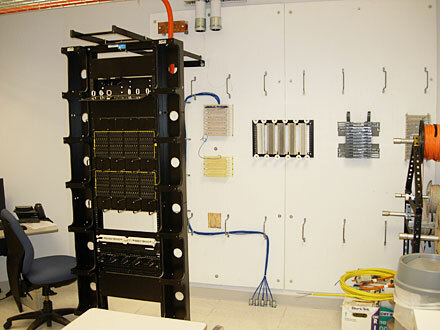 The lab is fully equipped with two telephone closets (T.C.s), stations where individuals pull cable and terminate jacks, and testing equipment where individuals test the cable after termination.